Despite fear of flying I indulged in a scenic flight for my 50th birthday and that could not have been more perfect. Although little Cessna is quite wobbling, the impressions of Namib, Sossuslvei, the diamond fields and Walvis Bay from above are unforgettable. Our pilot Richy made every effort to explain a lot. Ear plugs are provided. From the office in Swakopmund you will be taken by minibus to the airport and from there, of course, back again. It was not cheap, but unique! Cessna was fully staffed with 5 people + pilot. It’s already tight. Not for people with claustrophobia. I loved this visit in this small plane: I must say that I was very well placed beside pilot. We feel very safe. For my part I was able to take beautiful pictures, which was not the case of my girlfriend sitting behind the pilot: many interesting views were on my side and the pilot did not make the effort to to offer to those on his side the same points of view. After an exchange with the other planes, the tourists told us that their pilot had made it possible to have beautiful points of view wherever one is placed on the plane. This remains for me an unforgettable experience. A big thank you for rescuing an activity that didn’t run to plan. We had booked well in advance for the flight over the desert, Deadvlei and Skeleton Coast with the vlei being of significance to my Geologist partner. The other passengers booked were so late arriving, that element of the flight had to be cancelled due to VFR restrictions. Then they had the gall to waste more time arguing with the staff about who would sit where in the aircraft. Some people! The lovely people at Eagle Eye were so professional and got us up in the air in time to enjoy an amazing flight despite the gesticulations of the late complainers. Nicely done guys. Even thought it might a bit expensive, I would like to recommend the scenic route going down until Sossuslvei and coming back up on the coast. The views you will get on that flight a simply amazing !!!! Voir le désert du Nabib depuis les airs c’est fantastique. On prend conscience de l’immensité des lieux, sans parler des couleurs et des dessins que forment les dunes. Le vol dure environ 2 heures et 15 minutes mais je me répète c’est magique. Pilote très sympa, vol dans un cesna 6 places, très professionnel. Réserver le vol au moins 48 heures à l’avance, il vaut mieux être 5 personnes pour que le prix soit raisonable. L’avion est fort petit et très bruyant mais c’est normal pour ce genre de trip.. On a eu un vols de 2 h30 avec des paysages sublimes et variés, on a vu des zèbres dans les désevts de dunes, plein de phoques, des marais salants aux tons rouges… C’était super ! My husband booked a scenic flight over Skeleton coast with Eagle Eye. They have nice aircrafts, great pilots, nice tour. However, we could not hear the pilot since they do not provide headsets to their passengers. Subject: Re: Thursday 1 JuneDear JohanWe had the most amazing time in your wonderful country. It’s so stunning. Subject: Re: Thursday 1 JuneDear allThank you so much for such an amazing experience everything was perfect. blowing big thanks to Conrad. With fond regards and many thanks from us all. Nous avons longuement hésité avant de faire ce vol car le prix est élevé : 270 €/personne pour un vol de 2h15 à 4 passagers en sus du pilote dans le ptit Cesna. Nous sommes parti de leurs bureaux situés à Swakopmund en navette et il nous ont ramenés jusqu’à notre hôtel situé à 2 pas. Nous ne regrettons pas ce choix car ce survol fût exceptionnel : des dunes avec toutes ces formes magnifiques, les tâches d’argile blanches, le Canyon de Sesriem, les zèbres vus de haut dans le désert, l’océan avec les épaves des bateaux ensablées, que nous verrons plus tard à pied,Walvis bay, le coucher du soleil sur l’océan…. Cela nous a donné une vue d’ensemble formidable. Notre jeune pilote, Heinrich, nous a montré pendant le vol tout ce que nous devions voir en faisant descendre l’avion au dessus des points d’intérêt (après nous avoir montré une photo avec le nom des sites…. En effet, à cause du bruit, nous avions des bouchons d’oreilles fournis et il était donc presque impossible de parler. Nous n’avons pas vu le temps passer et nous recommandons ce circuit certes plus cher mais qui nous emmène loin. This was a fantastic experience flying over the Namib Desert. We did the 1 1/2 hour trip. So glad we did it. This company was very reasonably price, a lot less then ones we had seen on the internet before we went. If you find yourself in this neck of the woods then I can highly recommend this company. They are extremely professional and friendly they really care about the service they deliver. We choose the skeleton coast 1 hour 30 minutes flight. It was a stunning experience our pilot (Conrad) was great, funny and put us all at ease. His skill at flying us 40 or 50 feet above the Ocean and a similar distance from the sand wall of the coast gave us an inspiring experience. I only wish we were staying another day as I’d go again. Priced at 165 Euros each we made a flight of about an hour and a half on the dunes, on the wrecks, the seal colonies and the sea that bathes the desert. The plane in good condition and very good driver. Absolutely recommended to have a different perspective of the landscape. High quality,friendly welcome and briefing. 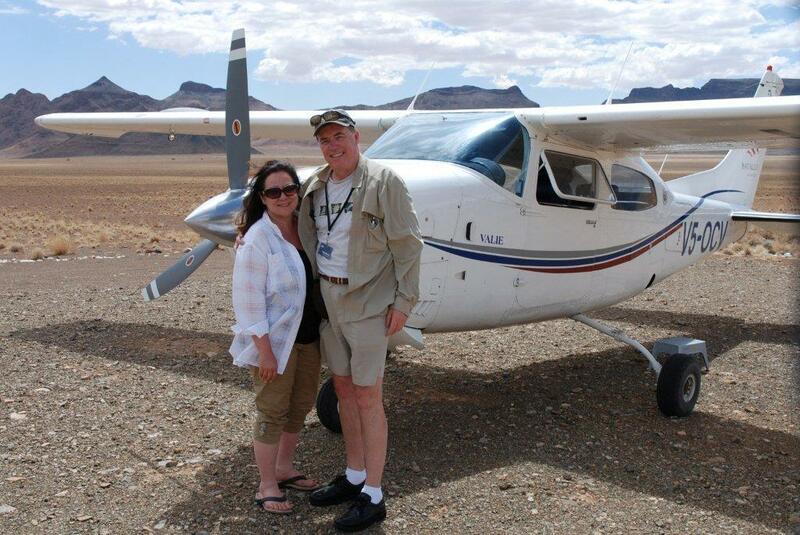 Skeleton coast flight was an amazing experience. Safe and unforgettable. Pilot informed us about the route, highlighted places. Must do! We had a flight in this company with two friendly pilots, going South of Swakopmund over the desert. We had never done a scenic flight before, and this trip exceeded all expectations. We did the 2.5 hours one to sossusvlei in the afternoon. To see the dunes and the scale of the desert was awe inspiring! The flight felt very safe. I would say the best seat for pictures was the rear right hand side one, but you need to take care when composing your shots not to get the reflection from the glass. That said I got a few clear shots, but to be honest, it’s the experience that will live with me forever. The plane was warm, but hey you’re traveling in a small metal box in full sunlight over a desert! Wear light clothes and fan yourself with the safety card! We were also given water on take off. Perfect as a day trip adventure from Swakopmund for everybody who needs a brake from gravel roads and a very nice add-on to exploring the coast and desert by car/foot and/or boat! We had come from Sossusvlei to Swakopmund and found the sky safari added another beautiful dimension to what we had seen from the ground before. It was definitely worth it and even though the weather had changed and it was a little cloudy by the time we took off, we could see everything very well since we flew underneath the clouds. One of us was even allowed to sit next to the Pilot in front of the Copilot! Next time we want to do a several day tour going up to Victoria Falls, which we didn’t have the time for on this trip. Thanks again to JF and Johan Botha – we had a great time – and all the best for Eagle Eye Aviation! We’re hoping to return and do the sky safari with you sometime soon! Ground travel from Swakopmund to Sossusvlei through Namib Desert needs 5 hours. Therefore we decided to try sky safari by riding a charter flight operated by Eagle Eye Aviation. They have several established routes among which the Skeleton Coast Scenic round trip between two destinations will take about 2.5 hours travelling 630 km. Because we will stay at Sossusvlei without returning to Swakopmund, we took half of the round trip – the best half of it. Firstly the five-seat aircraft flew southward along the coast at very low level. Therefore ship wrecks both in sea and in desert, the unique scene of “desert meets sea” and dried river bed can be clearly seen. At mid-way the aircraft turned to southeast direction and climb to a high level. With shadow under sunlight, the endless red desert with peaks, valleys and sand dunes was all in our view. While landed at Sossusvlei, we almost forgot that one and half hours were passed. It is really fantastic! Our first flight with the Cessna 210 called Michie was great and way too soon we arrived at Wolwedans Lodge. For some reason we got lucky and were upgraded to Wolwedans Private Camp and felt like VIPs from there on. The next two days we experienced our first game drive and learned a few things: First the whole staff team is exeptionally nice. Second the landscape with its fairy holes is more than beautiful and third Namibians like to feed you – especially with meat (game!) – yummi! After a very short flight our next stop was Sossusvlei Lodge – close to the entrance gate to the famous Sossusvlei and Sesriem Canyon in the Namib Nauklauft Park. Here we went for the dunes, climbed dune no. 45, took a walk to the Dead Vlei and were quite impressed by the sheer size of the dunes. But what made all this even better was when we flew over this area on our way to our next destination. In contrast to climbing the dunes and realizing how big they are – changing perspectives – from above we could see how many dunes strech over a huge area. The scenic flight along the Skeleton Coast was a highlight of its own – never miss that one! Worth mentioning is the game barbeque served at Sossusvlei Lodge – best barbeque ever! At Mowani Camp in Damaraland we went to see the desert elephants (what a chase!) as well as visiting Tweifel Fountain with its stone paintings. Beautiful sunsets served as natural evening shows. Again we were impressed by the friendliness and knowledge of the staff and tour guides. The next stop was Ongara Lodge close to the Etosha National Park. Here the focus was on game drives watching Africa’s wildlife at its best! Rhinos, zebras, gnus, giraffes, elephants, antelopes, warthogs and lions… name it – we’ve seen it. Visiting Caprivi is much recommendable because it is so different to the rest of Namibia. Due to the big rivers it is a lot greener and you have the chance to see a different kind of wildlife including lots of hippos and birds. Our first lodge, Susuwe Island Lodge, was located on a small island and really beautiful. Here we did boat trips including a breakfast picking at the riverside as well as jeep safaris to see more elephants, hippos, antelopes and baboons than we could count. Another day here to really enjoy the terrace of our rooms at the riverside and the wonderful balcony in a huge tree would have not been bad. By boat we went to our next lodge, the Namushasha Lodge. Again we went for a game drive and saw some water buffalos – no. 4 on our private big 5 list (no leopard for us to see)! Our last flight took us back to Windhoek and it was really hard to part from our pilot, friend and “brother” JF at the airport –We’ll see us again for sure! The last night in Namibia we spent at the N/a’an ku se Lodge and Wildlife Sanctuary and became friend with Fudge the lodge’s lovely cat. We went to see Lucky the three legged cheetah – boy is he fast - and learned about the charity work of the lodge. After that it finally was time to say goodbye to Namibia. All in all this trip was close to perfect due to Namibia itself, the people we met, meaning the staff and for sure mostly JF, and the possibility two see a country from s different perspective – from above!!! We arrived safely in Rio de Janeiro following your sterling efforts in getting us to Swakopmund through the heavy fog last Monday. We are now in Buenos Aires. We wanted to thank you again for your terrific services in flying us to and from Sossusvlei Desert Lodge and generally for the pleasure of your company during the three days we were there, We wish you and your brother the best of luck in getting your new venture successfully off the ground and you and your wife a happy and gratifying life together. You are a skilled and savvy pilot, and if we can assist in some way with endorsements or recommendations we would be happy to do so. It was wonderful getting to meet you and we hope we can stay in touch.